I’ve always had a passion for personal as well as professional development. To me, the greatest sense of satisfaction comes from the ongoing pursuit of our potential. Striving to reach my own potential & helping others to do the same is the biggest reason that I became a financial advisor back in 1994, and it still holds true today, 25 years later. I understand the challenges that you face and am qualified to help you seize opportunities to maximize your financial & personal well-being. In my personal life, I am very lucky to be married to my beautiful wife Cathy, and we have two fantastic sons, Jacob & Noah. A continuing passion of mine is a life-long commitment to a fit & active lifestyle. I’ve always been involved in sports, both as an athlete, and also as a coach. My personal favourites are hockey, baseball, basketball, golf, and the demanding sport of triathlon. 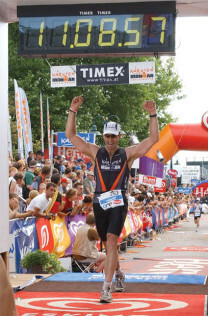 In 2003 in Klagenfurt Austria, I completed the first of three (& counting) Ironman Triathlons. After a bit of an extended break, in September 2019 I will be competing in my 4th Ironman Triathlon at Ironman Italy. It will be a great test to see if this old body still has what it takes. If you are not familiar with the sport of triathlon, and Ironman is where you swim 3.86 km. bike 180 km, run, walk or crawl 42.2 k….and then you brag for a lifetime! An example of my commitment to constant improvement, or “kaizen”, is the achievement of The Distinguished Toastmaster (DTM) designation. This is the highest award the Toastmasters International organization bestows in recognition of both communication and leadership skills. 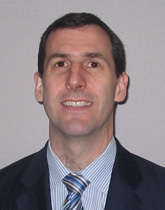 Charter Member of Life-Centered Planners: An exciting community of inspiring financial advisors from around the globe. Creator of The Financially Fit For Life Program™ where we help you to get into top personal and financial condition by getting the CORE of what is most important to you. I limit my practice to working with no more than 75-100 client families. I consider them to be clients for life.